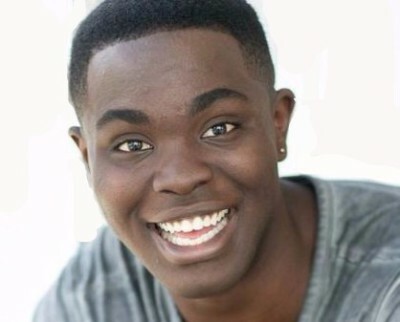 The Broadway world tragically lost a rising star in the early morning hours of Saturday, August 29th when history-making 21-year-old actor Kyle Jean-Baptiste slipped off a fire escape at his mother's apartment and died after falling to the ground. Mr. Jean-Baptiste had been sitting on the fire escape after the Friday night performance of Les Miserables, talking to a female friend, when the accident occurred. Mr. Jean-Baptiste usually played the roles of a constable and Courfeyrac. Mr. Jean-Baptiste, a recent graduate of Baldwin-Wallace University, made history on July 23rd, when he went on as understudy for Ramin Karimloo in Les Miz's lead role of Jean Valjean. At that time, he became the youngest actor to play the part on Broadway and the first African-American, although other black actors have played the role on tour. Before his history-making performance, Mr. Jean-Baptiste tweeted, "Today I go on as my dream role. No words. Guna remember this night @BroadwayBlack @LesMizBway @understudies #blackvaljean @lesmisofficial." The day after the performance, he tweeted, "Thank you for all the love ! Last night was one of the best nights of my life. Thanks to all who came. C U at the barricade @LesMizBway." Mr. Jean-Baptiste was scheduled to leave Les Miz on September 6th to assume a role in a new Broadway production, The Color Purple. The Broadway community held a memorial for Mr. Jean-Baptiste at Central Park on August 31st.